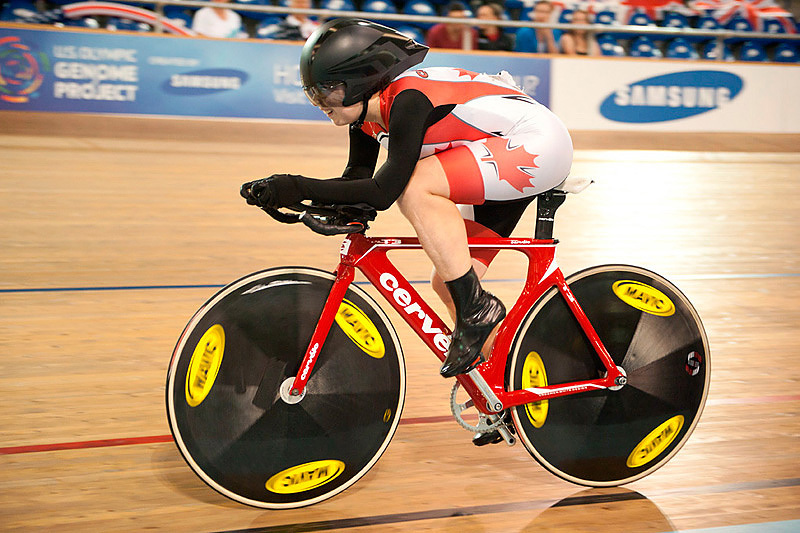 Canada’s Marie-Claude Molnar, of Sainte-Adèle, Quebec, claimed the bronze medal in the 3000 metre Individual Pursuit on Saturday at the 2012 UCI Para-cycling Track World Championships in Los Angeles, her second medal of the event. Molnar, who set the current World Record (4:05.403) in the Individual Pursuit while competing at the 2011 Parapan-American Games in Guadalajara, Mexico, posted the third fastest time of 4:16.448 in the opening qualification round to advance in the bronze medal round, where she faced Jianping Ruan of China, gold medallist and World champion in the 500 metre TT earlier this week. In the bronze medal race, Molnar opted for a steady pace, while the Chinese rocketed out of the start gate almost catching Molnar in the first two laps. But Molnar hung on, and continued to execute her race plan. The Chinese suddenly lost her steam, running out of energy. Molnar took the opportunity of her opponent slowing down, and a few laps later, with five laps to go in the 12-lap race, she reached her opponent and ended the race to capture the bronze. “I stayed calm. I knew the Chinese girl would jet off right from the block. It was very clear before the race what was to be done, what might happen. I was always in control, and it was a good race,” said Molnar, minutes after stepping off the podium with her medal around her neck. In the Men’s C1 1000m Time Trial, Calgary’s Brayden McDougall posted the fourth fastest time of the group, narrowly missing the podium with a time of 1:22.844. McDougall managed to lower his time from last year, where he also finished fourth. Jaye Milley, also of Calgary, rode to the eighth place in a race in which he won the bronze medal last season. In the C4 category, Eric Bourgault of Orford, Quebec, placed 12th with a time of 1:15.484, while Matthieu Parent of Bromont, Quebec was 13th in the C2 category (1:24.652). 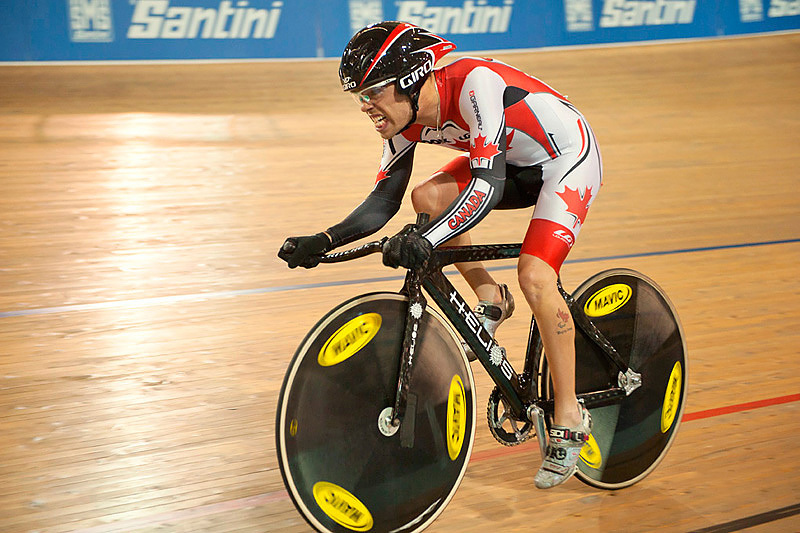 The third medal won by Canada at the 2012 UCI Para-cycling Track World Championships surpasses the total of two medals won last year at this same event.